A first overview of open access digital data for the Ross Sea: complexities, ethics, and management opportunities. Huettmann, F., Schmid, M.S., Humphries, G.R.W. It is now understood that the Ross Sea stands as one of the last relatively pristine (ocean) areas. Many decades of international research have been carried out under the Antarctic Treaty System stipulating that data acquired under this scheme must be shared with the global community. 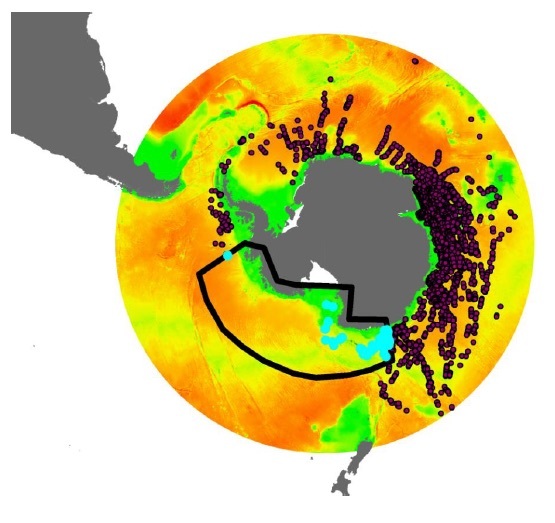 In line with Carlson (Nature 469:293, 2011, Polar Research 10.3402/polar.v32i0.20789, 2013), we find little evidence of enforcement towards making digital geographic information systems (GIS) project data available online for the wider Ross Sea ecosystem. While it is possible to find easily >40 digital datasets for most areas and pixels worldwide, despite many decades of research in the Ross Sea, only app. 100 digital datasets can be found for the study area. It simply shows that data from many studies in the region are not available. High-quality population and trend data explicit in space and time are mostly missing in the public realm, e.g., from the Commission for the Conservation of Antarctic Marine Living Resources (CCAMLR.org). This presents an ethical dilemma because it still appears that sufficient data exist for a pro-active and pre-cautionary management of this region. No coherent and efficient management scheme truly exists and is applied for this precious part of the world now heavily affected by global stressors and mismanagement of data and resources.